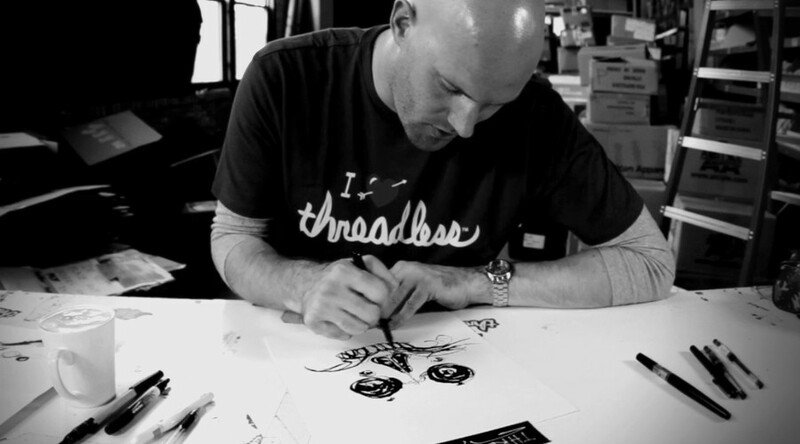 San Francisco based Illustrator Nate Van Dyke stopped by Threadless headquarters to talk about art, chimps, and life in general. He was also gracious enough to draw a little something for us during the interview. Nate’s a big dude, with a big heart, who’s skilled in a variety of different mediums.